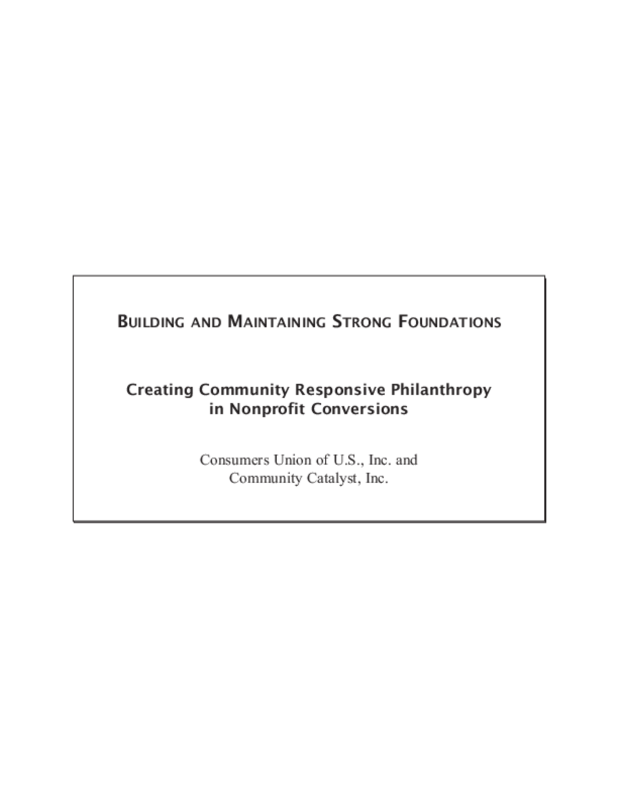 The book is a primer offering guidance for the establishment of health conversion foundations when nonprofit hospitals change status to for-profit. Consumers Union of U. S., Inc. Copyright 2004 by Consumers Union of U. S., Inc.. All rights reserved. Copyright holder(s) Community Catalyst , Consumers Union of U. S., Inc.